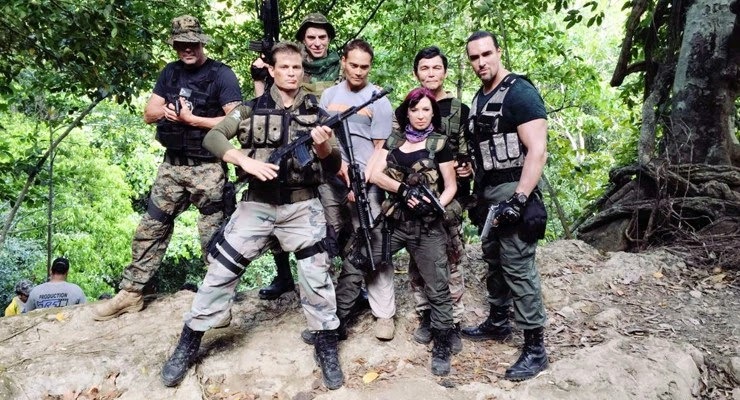 For the last couple months or so, actor and director Mark Dacascos has been overseeing the shooting and production in the Philippines of his most recent movie project Showdown In Manila. Since making several appearances on the television series Hawaii Five-O, Dacascos has now turned his sight back on making feature films. In fact, he is currently associated with at least five projects as of this writing. Aside from acting and directing Showdown In Manila, Dacascos is also working on four other projects. These are To Have And To Hold, Ultimate Justice, Changing Lives, and Garrison 7. Showdown In Manila features an international cast, including actors tapped from within the Philippines. Leading the cast are Mark Dacascos, Olivier Gruner, Casper Van Dien, Cary Hiroyuki Tagawa, Matthias Hues, Cynthia Rothrock, Natalie Gubina, Tia Carrere, Don Wilson, and Alexander Nevsky. Local actors tapped to appear in the film are Jake Macapagal, Iza Calzado, Mon Confiado, Krista Miller, and Will Devaughn. A release date hasn't been announced yet but the film is listed on IMDb as releasing this year (2015).